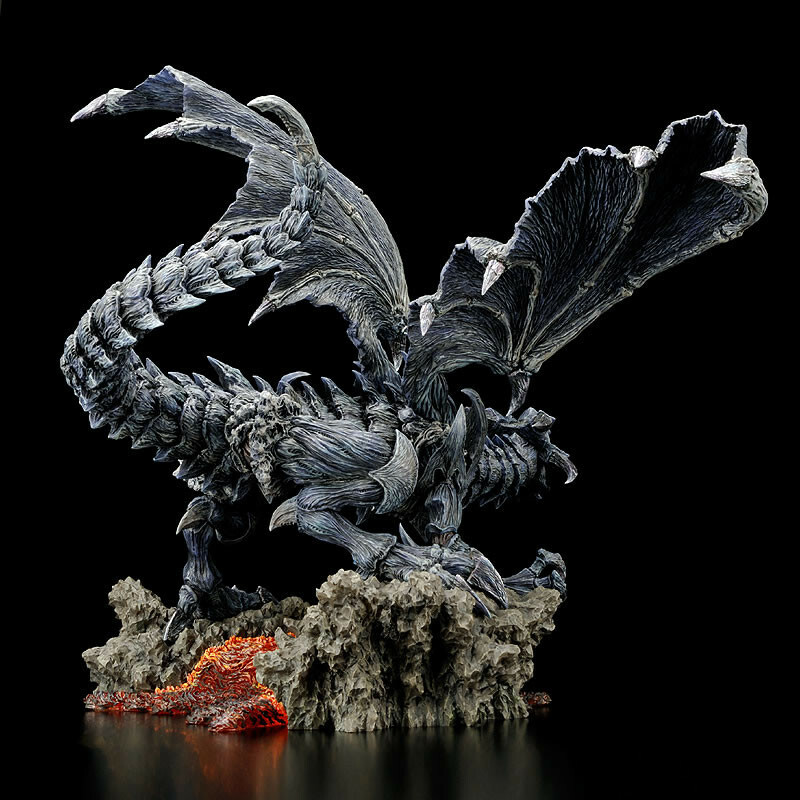 The Red Eyes Black Dragon, ressurected as a polystone statue!! From the famous manga, anime and card game series "Yu-Gi-Oh!" 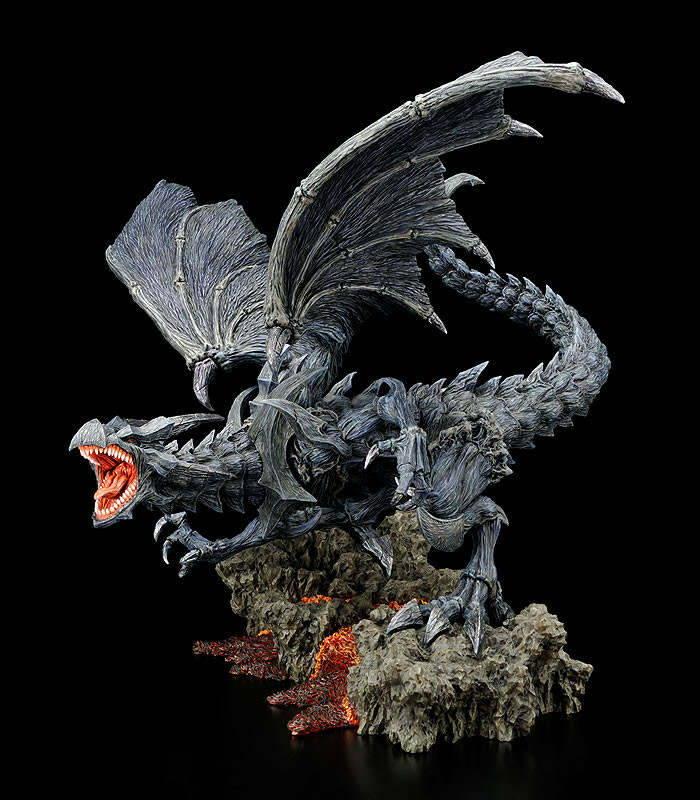 comes a polystone statue of the dark dragon, "Red Eyes Black Dragon"! 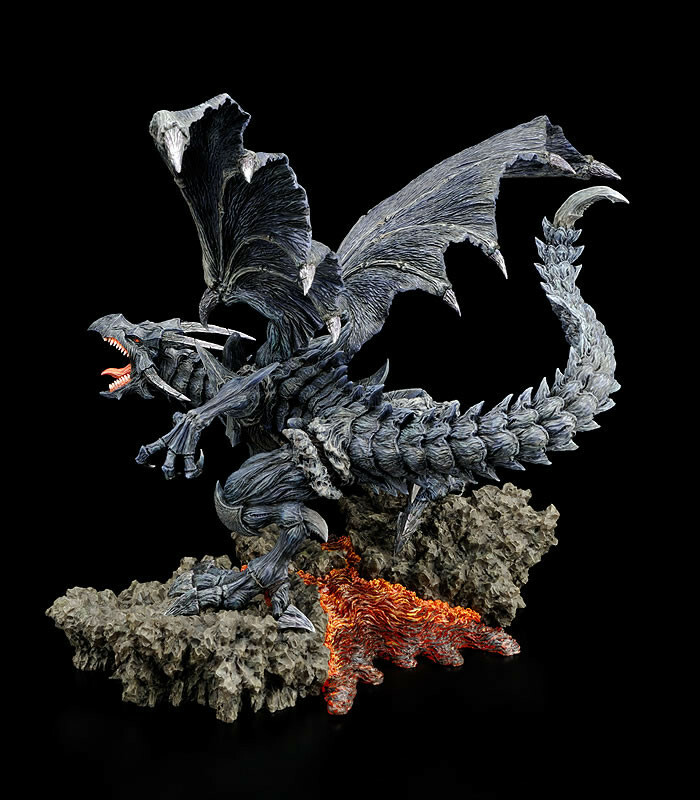 Under close supervision of the original creator of Yu-Gi-Oh, Kazuki Takahashi as well as careful sculpting direction by Max Watanabe, the ultimate statues of the Yu-Gi-Oh dragons have been created. 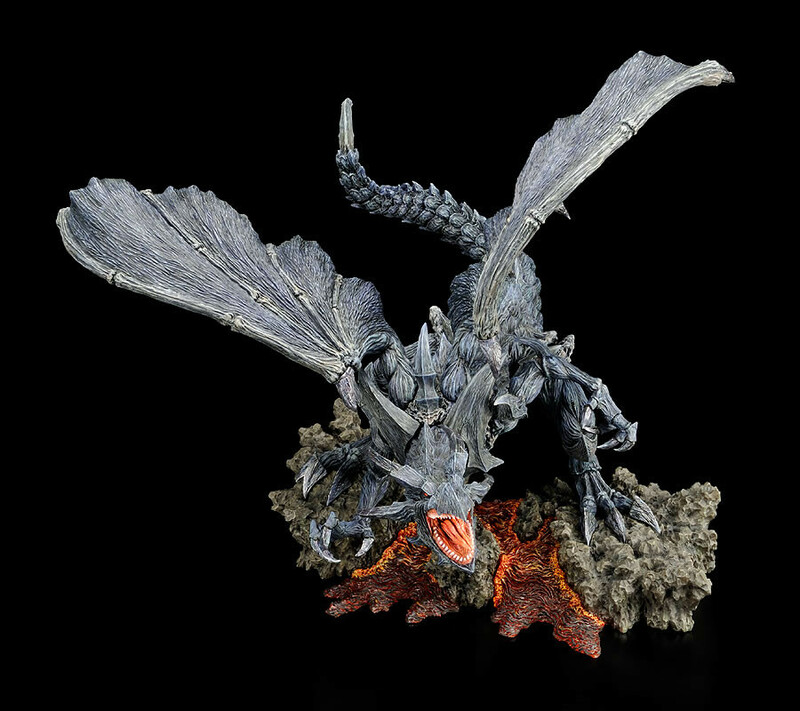 The team wanted to create a sculpture that was a truly realistic rendition of the mighty dragons, and they have been checked from every angle available to try and reach that realistic dream as closely as possible. 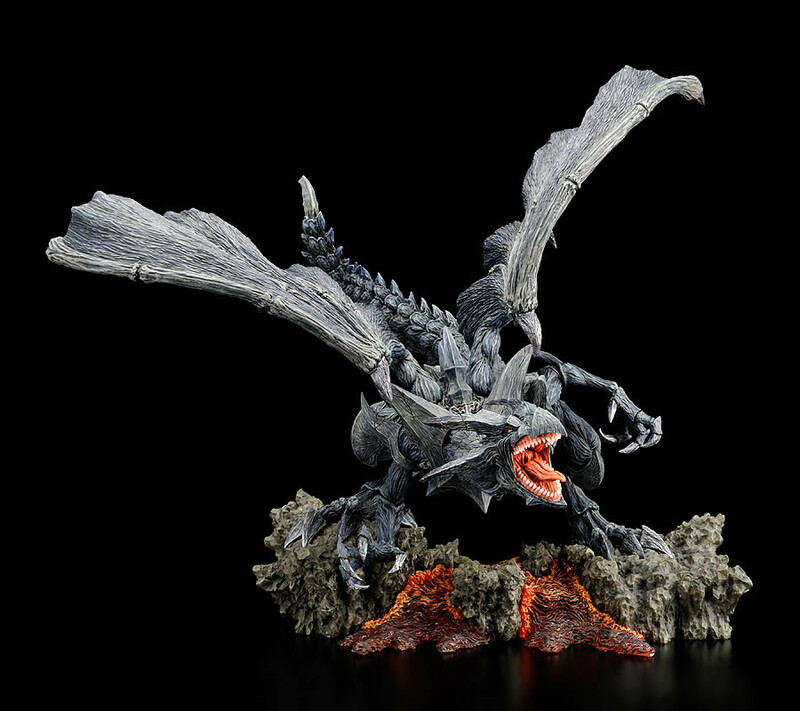 The intense feeling of power and life from the sculpture is truly a sight to behold. 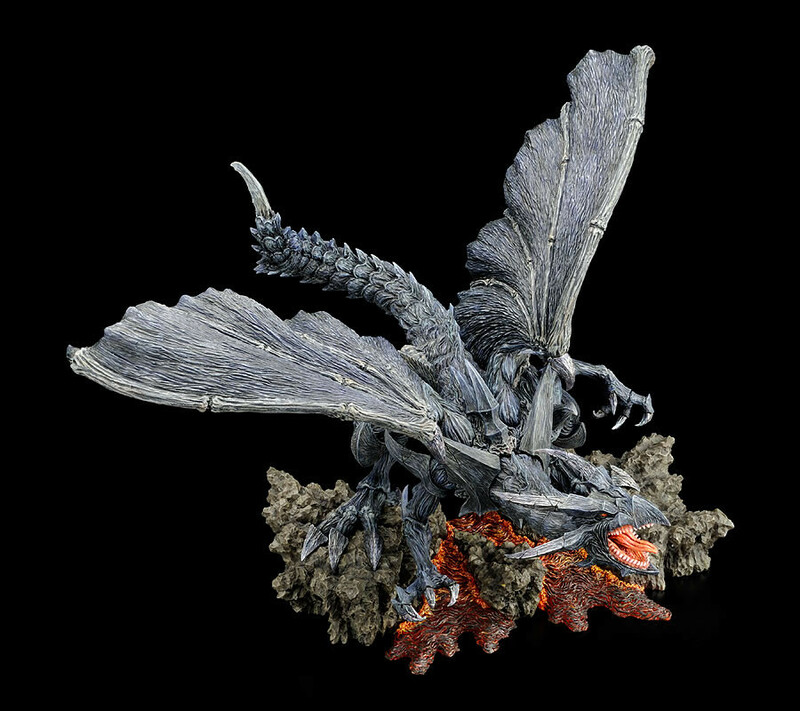 Red Eyes Black Dragon can be displayed with the simultaneously announced Blue Eyes White Dragon to create the stage of one of the most intense battle scenes in Yu-Gi-Oh!